Presenting 4 Ironbark Circuit, Everton Hills. Resting in a quiet enclave of contemporary properties, number 4 presents the perfect opportunity to secure a stylish residence in a prime, elevated location. Custom designed to maximise the benefits of the ideally located north facing block, and built to the owners' exacting standards, this stunning home cleverly incorporates multiple living areas over a relaxed, single level in excess of 300m2 under roof. At the heart of the home is a generous open plan lounge, dining and kitchen leading out to a fantastic covered outdoor area - the perfect spot for year-round entertaining. Positioned perfectly to service both internal and outdoor living areas, the sleek and oversized kitchen is sure to be a delight for the chef and entertainer alike boasting a suite of premium European stainless steel appliances, extensive brand new granite bench tops and generous cabinetry including purpose designed preparation and cooking zones incorporating enough drawers to ensure even the most accomplished chef has all their equipment within easy reach. 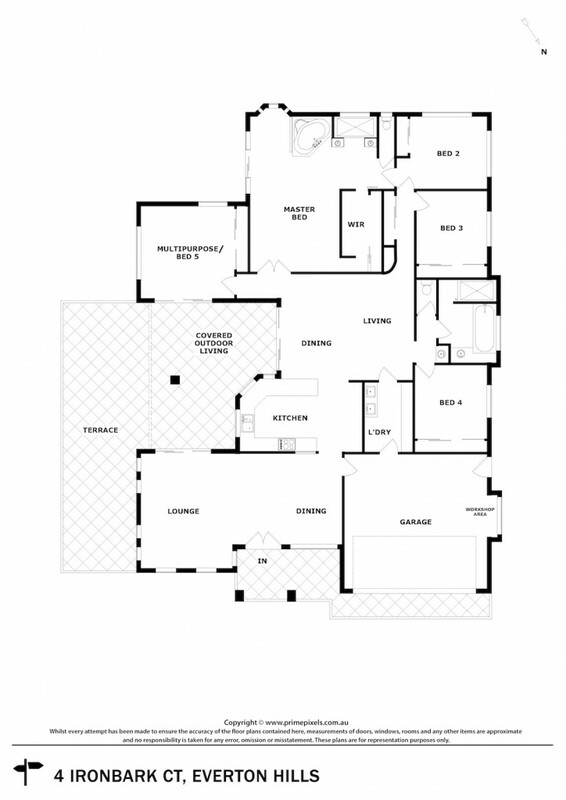 The clever floor plan provides for an oversized resort inspired master suite positioned away from the main living areas and offers the perfect spot to retreat. Offering an impressive list of features, this immaculate contemporary home is sure to exceed expectations. With many recent upgrades, there is nothing left to do except move in and enjoy. Conveniently located in Everton Hills - approximately 12km north-west of Brisbane's CBD - with easy access to a selection of schooling, shopping and entertaining options. Walk to schools and park in the street.